I love, more than anything, being able to reach in my scrap bags and making a card completely from scraps. I save all DSP scraps, and all regular scraps, too. 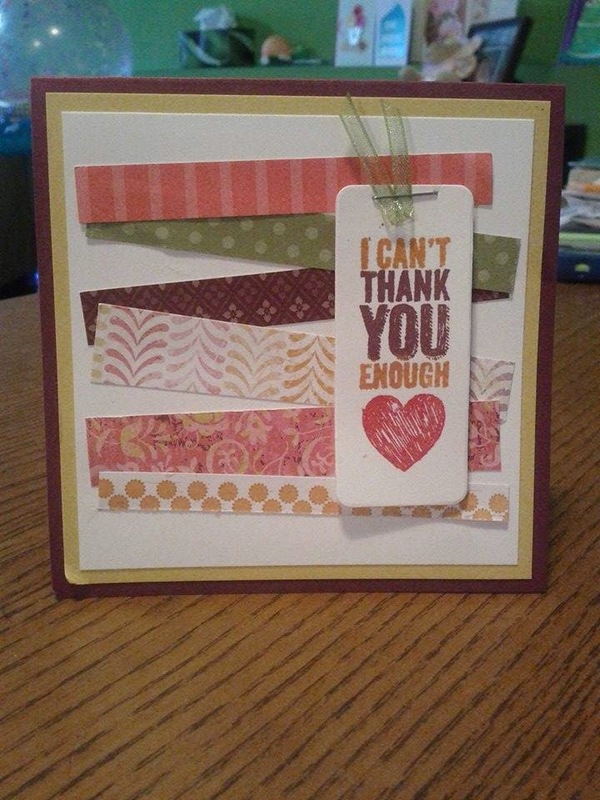 This thank you card I whipped up in 5 minutes and used ALL scraps! I used the chalk talk stamp set and the matching framelits from the big shots to create a simple, but stand out, card.